Even as the economy revs back up and the labor market inches closer to what economists consider full employment, labor economists note one seeming anomaly: The number of Americans moving for a job has been dropping. “Basically, movement for work has been cut in half,” said Anthony Carnevale, director of the Georgetown University Center on Education and the Workforce. We’re becoming a less-mobile nation overall, for reasons that are demographic as much as economic. The Census reported that the number of Americans who moved last year fell to just over 11 percent, an all-time low. About one in five did so for an employment-related reason, the agency said. Baby boomers on the cusp of retirement are unlikely to move for a new job or to pursue a career, and it can get harder to pull up stakes the older we get. “People who are above the age of 35 have more sunk costs, both personal — friends, family, a sense of community — and economic,” Carnevale said. Of course, even years after the real estate crisis, some people don’t move for work — or any other reason — because they can’t. Depending on where in the country a homeowner lives, moving for a new job might not be as easy as it used to be: New research from Trulia.com finds that just over a third of American homes have recovered to their pre-recession value. Trulia’s research found sharp geographical divisions in housing market recovery. Although nearly all of the home values in San Francisco and Denver, for example, have bounced back, fewer than 3 percent have in Las Vegas and Tucson. Even homeowners who aren’t underwater on their mortgages face a daunting calculation. 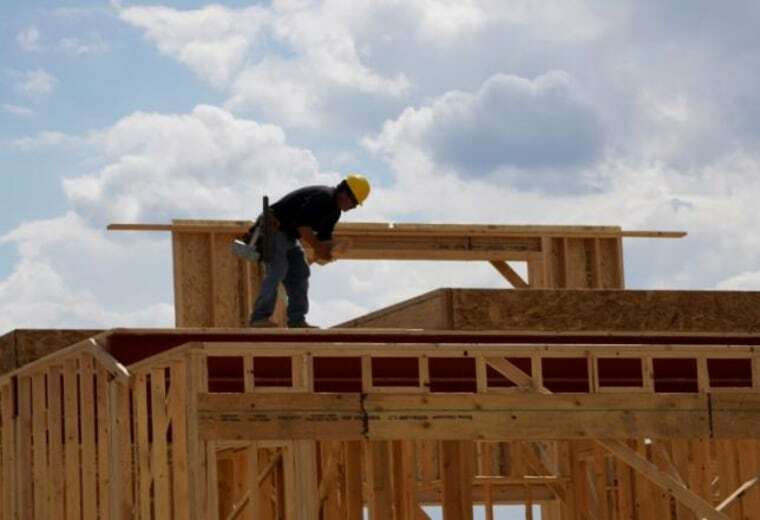 “You have a situation where a lot of the unemployed and underemployed are in parts of the country where house prices are low,” said Mark Zandi, chief economist of Moody’s Analytics. Moving from the Rust Belt to a thriving coastal city might yield higher wages, but that could be more than offset by a higher cost of living in these areas, particularly with regard to housing costs. On the flip side, one positive reason people aren’t moving is because they don’t have to: With remote work a growing part of companies’ benefits packages, and employers willing to contract with people in far-flung locations to save on everything from salaries to real estate costs, people can stay put and the work will come to them, especially in industries like technology where the supply of workers is already tight. “There are more people that can access those tech jobs because they can work remotely and not have wages suppressed by moving to a location that reduces their income because of the higher cost of living,” said Tolu Olubunmi, one of the authors of a new white paper, Mobile Minds: An Alternative to Physical Migration in the 4th Industrial Revolution. “Another reason, which is certainly a contributor, is cities are becoming more alike,” said Andrew Chamberlain, chief economist at Glassdoor. It’s a positive result of the often-maligned shift to a service sector economy. “As the economy has moved towards services and away from goods, the geographic advantages are eroding. It makes the economies of America’s cities more balanced and less dependent on any one industry or job,” Chamberlain said. As any worker fielding emails or even texts from their boss over the weekend can attest, this connectivity is a double-edged sword. One way workers are pushing back is by refusing to move. Gimbel said he encounters more job candidates today demanding positions that accommodate work-life balance, and who are unwilling to uproot their families and leave their communities in pursuit of a job. “I see it today with all levels of white-collar jobs,” he said. “If unemployment rates remains low, the power may shift to the worker,” Carnevale said, prompting companies to bring jobs to workers rather than the other way around. “It will mean a lot of us will be able to stay in place because there will be more demand locally, as well,” he said. A workforce unwilling to move could even, ultimately, drive wages higher, suggested Luke Tilley, chief economist at Wilmington Trust Investment Advisors. “If labor mobility is low relative to history, we believe that would be a contributor to labor market tightness and to the upward pressure on wages,” he said.